Wallpapers are coming back! We're not talking the tired old patterns but red wallpapers, vintage wallpapers, retro wallpaper and some very luxurious suede and very cool wallpapers for walls for practically all interior design styles. Feature wallpaper can create great home decor while delivery amazing impact. It's not only modern wallpaper designs that's new but how people are using them. As a feature wall leaving other walls painted in a plain or similar colour. Wallpapering above railings and leaving the area below painted in a similar or matching colour theme. Enormous over-sized prints even in smaller rooms - as if you are swimming in colour. Scenes - not you're usual patterns. Using your wallpaper as a feature means you use less - so you can spend more on the wallpaper you choose. Gone are the days of thick vinyl wallpaper with images of dancing vegetables printed on a bright white background. What's popular now? Traditional patterns with copper accents; crystal-studded wallpapers; shimmering metallics, and wallpapers made from natural materials such as mica and grass, and woven cloth materials, Mrs. McDonald said. Today's wallpapers are also made with non-toxic inks, soy-based coatings and eco-friendly fibers that are washable and UV resistant. This is from Jo-Anne McDonald, an interior designer at Shamrock Paints on Victory Boulevard in Castleton Corners who has seen wallpapers make a huge comeback over the last 9 months. Her interview in Silive.com called 'Wallpaper is Making a Comeback,' has some great advice for anyone interested in some of the great new designer wallpaper for walls that are out. What wallpaper does best is add a pattern and dimension to a wall in a way that paint can't," said LeRue Brown, director of marketing for York Wallcoverings. "It can set a style for a room at a pretty economical cost, and hide abrasions and other imperfections in a wall. If you're looking to wallpaper your home, here are three great wallpaper tips from Jo-Anne McDonald. * Less is always more when decorating with bold patterns and colors. "People always want to do too much," she said. "In a dining room, for example, only paper above the chair rail and paint a contrasting color underneath. To paper the whole room in the same pattern is just too much." * Don't wallpaper a cluttered house. "If it's a messy, cluttered house, I favor paint. 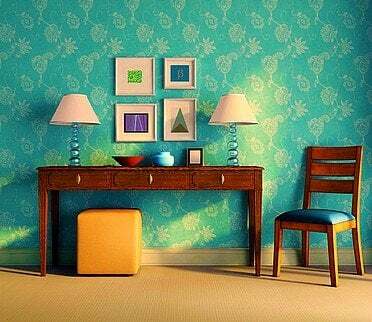 If the house is neat and uncluttered, I will recommend wallpaper because the house can handle it,"
* Avoid wallpapering hallways. "I don't like to wallpaper hallways, especially ones with high walls. It's too much. Paint will do just fine, and save the wallpaper for a room that needs some visual interest." You can read the full article 'Wallpaper is Making a Comeback' at Silive.com. 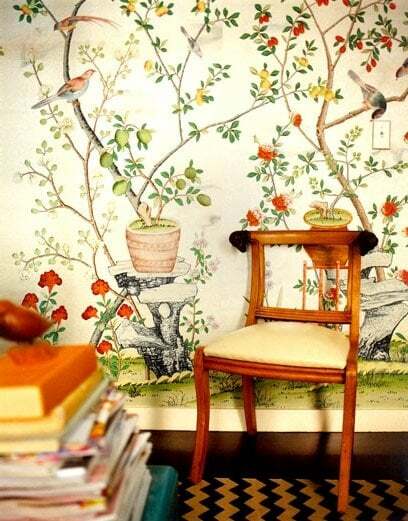 If you want to know more ways to use wallpapers, read this 'Traditional Wallpaper with a Twist! Eight Great Feature Wallpaper ideas. Beautiful wallpapers are not only for your computer. Use them to create great home decor . There are so many cool wallpaper ideas for walls - whether you are looking for red wallpaper, vintage wallpaper, retro wallpaper or a modern suede wallpaper, there is definitely something for you, no matter what your interior design style. 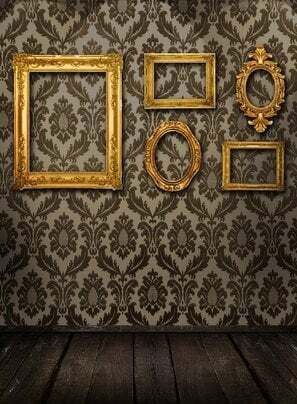 Please leave a comment below if you have your own great ideas on how to wallpaper rooms. And if you liked the article, please Like it on FB and Share! For more great free information, join our newsletter. It was awesome. I am just looking 2nd and 3rd wallpaper, I like these wallapers.